Brewing beer is my hobby. I enjoy brewing. You combine several ingredients, none of which you would consume on its own, mix them together, allow Mother Nature to process and produce a wonderful food. Yes, food and not a beverage. Budweiser, Miller, Coors and the like are beverages, barley pop. Good beer is food. Good beer has taste, aroma, calories, vitamins and active yeast. The ancients considered beer a food for the masses. Because of my interest, Deb and I drove to Blanco, Texas to Real Ale Brewing, http://realalebrewing.com/home, while I was visiting Austin. 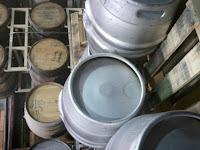 Real Ale was my first tour of a working microbrewery. I was impressed. Before the tour, Real Ale lubricates you a bit. Deb, I and about 15 others congregated in their tasting room before the tour. We sampled many of their beers. My favorite was the Rio Blanco Pale Ale. This beer was smooth on the palette and a little hoppy. Deb liked their Porter. We enjoyed all of their beers except one, Mystereum Verum – The Kraken. This beer is their barley wine, cask conditioned in wine barrels. The alcohol in the beer strips the wine residue from the oak barrel. I am not saying it was a bad beer. The Kraken was just not for me. Well slightly inebriated, we took the tour. I was fascinated. 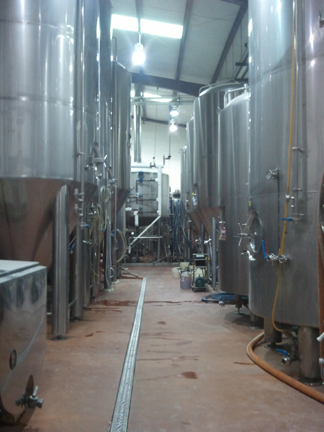 Tim, one of the brew masters, took us through their whole process. All of the technicalities presented might bore you. They interested me but I am into the process. Two highlights of interest are they do all they can to recycle and re-use as much as possible. The spent grains from the mash, after the sugars have been extracted, are used by local cattle ranchers for animal feed. 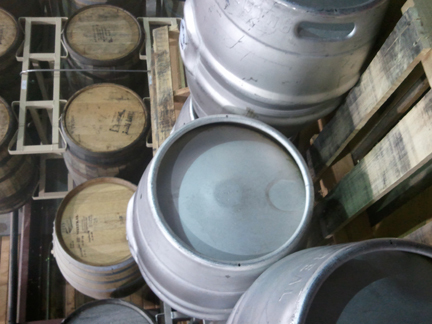 The water used to chill the wort, now heated, is utilized in their next batch for brewing. Second, Tim paid great homage to the brew masters at the mass consumed beers. To paraphrase him, “They are great brewers to so consistently produce flavorless beer.” From the silo at the beginning where the malted grain is held to the bottling and kegging equipment at the end, I was wowed. Before we left, Deb and I sampled of our favorite Real Ale Brews one more time. This tour was a great experience. Sadly, Real Ale only sells beer in Texas. Until they expand to South Dakota, I will find excuses to go back to Texas to enjoy their great beer. On a whim just a week before I left for Austin, I contacted Dr. H. W. Brands, http://www.hwbrands.com/, author and professor of history at the University of Texas, about possibly meeting him while there. Graciously he accepted my invitation and suggested that we meet for breakfast at an Austin classic, Austin Java. 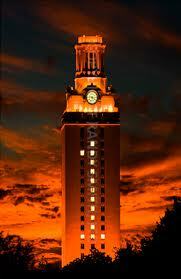 Being a University of Texas history major, gives me additional reason to enjoy his books. I previously met Dr. Brands when he spoke at the South Dakota Festival of Books in Sioux Falls in 2004. By coincidence, I discovered two of his books, Lone Star Nation and The First American, just before the festival. The topics of these books, the birth of Texas and Ben Franklin are two of my favorite subjects. His talk in Sioux Falls was on an upcoming book on Andrew Jackson. Following his talk, he signed my copy of Lone Star Nation and we talked briefly about Austin and UT. I do not know what Dr. Brands was expecting when he agreed to meet with me. Deb and I greeted him around 8:30 am. I did not bring books to sign or a written agenda. In my mind, I had two specific questions about his books, but mostly, I wanted to get a feel for his style, his opinions and his future books. You, also, have to understand that I am very jealous of people that are very knowledgeable and extremely articulate because they have so much to offer. As you can see from this blog, I am neither. In fact, I usually tell people that English is my second language and that I do not have a first. To begin, we talked about North and South Dakota. 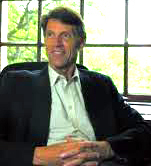 He is on the advisory board of the Theodore Roosevelt Center at Dickinson State University, Dickinson, North Dakota. Dr. Brands has a basic understanding of East River versus West River as we know it in South Dakota. We discussed the new oil finds in North Dakota and how they are pumping large funds into North Dakota state government coffers. I told him about Hyperion Oil’s proposal to build a refinery in southeast South Dakota for oil from the Canadian Tar Sands. I presume North Dakota oil will find its way there, if the refinery is built. So much for the ice breaker. We got down to talking about his books. He talked about a couple of books that are to be coming out next year but I will leave that for another time. Dr. Brands picked up on technology when I mentioned about listening to his books as well as reading them. Accordingly as an author, he considers digital formats such as Kindle or Nook and spoken formats as well as print when writing today. While the author and publisher have absolute control over how the words and pictures appear on a printed page, in digital format they have no control. The device owner chooses the font size and layout on their device. In the spoken or story format paragraphs lose their importance. He is very excited about the spoken format. Stories have been the way to pass information for millennium. Writing is a relatively recent invention. While I am aware of all of this technology and use it, I never contemplated how they differed from printed material. I do not know how a writer meets these challenges effectively in the same work. We last discussed my questions about his books. Probably no one is interested in knowing why the Americans mostly settled between the Brazos and Colorado Rivers in Texas and did not colonize further south into present day Mexico. Or why Dr. Brands does not believe Masonry influenced Benjamin Franklin? His answer on the Americans in Texas convinced me. The area where they settled was fertile. Going south the soil quickly becomes very poor. His answer on Masonry left me thinking about which came first, the chicken or the egg. Ben Franklin was a person who did good deeds. Did he become a Mason because joining the fraternity was the popular thing to do? As we know, many of our founding fathers including George Washington were active Masons. Masonry teaches doing good deeds. Or by joining was he validated in doing those things? I want to think that Masonry was at least a partial influence. Being a Mason undoubtedly affects my judgment. I want to thank Dr. Brands for taking the time to meet with Deb and me. This breakfast was truly one of the highlights of my trip. I look forward to reading his future books as well as several others that I have not yet read. I hope that when my travels again take me to Austin I can call my friend, Dr. Brands, and absorb more of his knowledge. I was on a conference call this morning as a member of the Projects Committee for the The Network of Independent Jewish Communities which is part of the Jewish Federations of North America. We were asked by the American Jewish Joint Distribution Committee (known as JDC or the Joint) to contribute $300,000 to assist elderly, poverty stricken Jews in the former Soviet Republic of Georgia. Documents have been circulating amongst the members of the committee for a week or so and today we had a presentation by several staff members from JDC. Following their presentation, we went into a closed session and unanimously passed providing this money. I have been associated with the Network for a long time but I can say today that I really feel good about the work that we do. Today, my small contributions along with many others are doing their part in Tikkun Olam or the Jewish commandment to repair the world. Last week, Max, the wonder dog, and I took a road trip to Austin, Texas to deliver some goodies to daughter Deb, husband Josh and Stella the pug. After an overnight with son, Dave, wife Tina, grandson Drew and goldens Phog and Cooper, we headed for Austin. We hoped to escape, at least for a few days the cold and snow of Sioux Falls. Needless to say, this was a fantastic trip. Usually one dreams about a trip and the actual trip while great does not live up to the expectations. On this trip the events exceeded what I dreamed. I left Sioux Falls earlier on Wednesday than originally planned because of potential weather. After a short 6 hour drive, I was in Lawrence, Kansas at the home of my children. I got to watch a little Sponge Bob with Drew and then it was out to eat with the family. We enjoyed just the usual typical quiet evening at dinner. We were home early to sit around and visit and play. Finally we were off to bed for an early start for the trip to Austin. By 6:30 am on Thursday, we hit the road. Max just snuggled into his blanket in the back seat and I had an easy drive down to Fort Worth. We made a quick stop to visit with my high school best friend Robert and then back on the road to Austin. As we drove into Austin, she lived up to her reputation for traffic. If the traffic were normal, the trip should take 3 hours but we were lucky in that it only took us 3 and a half to Deb and Josh’s house. For me Austin is about food. We went to dinner at a Mexican restaurant, El Chile. Their cuisine was a bit different than my usual Tex-Mex. My enchiladas were fantastic. Friday was just more than I could have expected. Before I left Sioux Falls, I emailed author and Professor of History at the University of Texas, H. W. Brands. He was kind enough to have breakfast with Deb and me. I cannot tell you what an enjoyable hour that we talked. I greatly enjoy his books and his insights on various topics were remarkable. I will hopefully write more about Dr. Brands in another post. Breakfast was followed by taking my car in to have some service work and then we were off to lunch. Deb and Josh took me to one of their favorite places, Rudy’s Bar-B-Q http://www.rudys.com/. I was surprised that I really liked it. Let’s see. I had a little (or was it a lot) of sliced brisket on a sandwich and some smoked sausage. All of which was washed down by an IBC Root Beer. God it was good. We said good-bye to Josh. Poor fellow had to go to work. Deb and I had decided to explore another passion of mine, brewing beer. 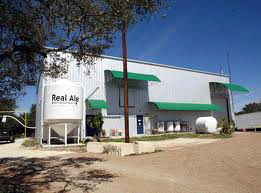 Online we had found, Real Ale Brewing in Blanco, Texas http://realalebrewing.com/. Off we went the 50 miles to Blanco for the beer tasting and tour. 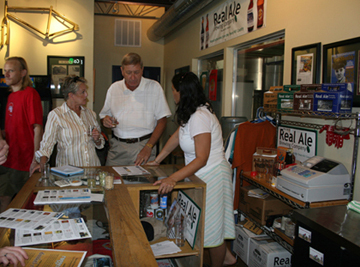 Real Ale Brewing was just another great experience. After a couple of hours in Blanco, we headed back to Austin. We got home and played with Max and Stella. Josh came home and then we were off to our next food establishment. A year or two ago, I saw a program on Diner’s Drive-In’s and Dive’s on a bar in Austin, Casino El Camino http://www.casinoelcamino.net/. Guy Fiery showcased the bar’s Amarillo Burger. Well, I wanted to have one. Fortunately, Deb and Josh agreed to indulge me. All I can say is that it was very good, just not fantastic. I would go back again however. After a six thousand calorie day, we went home for a little TV and to bed. I needed my rest for Saturday’s excitement. Believe it or not, Saturday began with food. We started with breakfast at the Counter Cafe http://www.countercafe.com/. My Breakfast Tacos were excellent. Of course you are supposed to start the day with a good breakfast and that is just what we did. Then we returned home. Josh went to work out and Deb and I just vegged. When Josh returned, we headed to our next local to gorge ourselves. We headed for Smitty's in Lockhart, Texas http://www.smittysmarket.com/. Lockhart has been voted the Barbecue Capital of Texas by the state legislature and I have been going there since my student days at UT. Smitty's is the original home of Kreuz Market but after a split in the family changed its name. The barbecue is still out of this world. I only had a little for lunch. Let's see, a half pound of smoked brisket and a hot ring of sausage. Oh don't forget the Coke to enhance the meal. We ended the tour with a drive through the UT Campus. The campus is obviously a great deal larger than when I graduated 37 years ago but I don't remember all the buildings that seem to have been there when I was. I did see some familiar ones which flooded my mind with super memories. Nostalgia is great. We ended the day with ice cream from Amy's http://www.amysicecreams.com/2.0/#/home/. The Belgian Chocolate ice cream was just over the top. Can you believe that I wasn't hungry for dinner. Well after a relaxing evening with family and the puppies, Max and I turned in. We were up early for what turned out to be an 1100 mile drive on Sunday to return to Sioux Falls. As I began, this trip went beyond my expectations. As you can tell, I love to eat and I went to one of the culinary centers of the world. Probably, it is a good thing that I don't live there as I would certainly weigh 300 pounds. But Austin is a wonderful place to visit. Maybe next time I will do the music scene for which Austin is famous as well. Below is a video from Dennis Prager on "The Middle East Problem." I am so jealous when some people are so articulate that they can condense a seemingly complex subject into a short coherent statement. In the movie, 1776, Thomas Jefferson describes the reason for needing a document for the Declaration of Independence rather than just a motion similarly. Jefferson states the need, "To place before mankind the common sense of the subject, in terms so plain and firm as to command their assent." I believe that this short video by Mr. Prager does just that. Please take the time and watch the video. As always, comments are appreciated.